Change the way you soak up the sun. A worthy umbrella has two functions: first, it effectively provides shade you when you want it, and stays out of the way when you want to soak up sunshine. 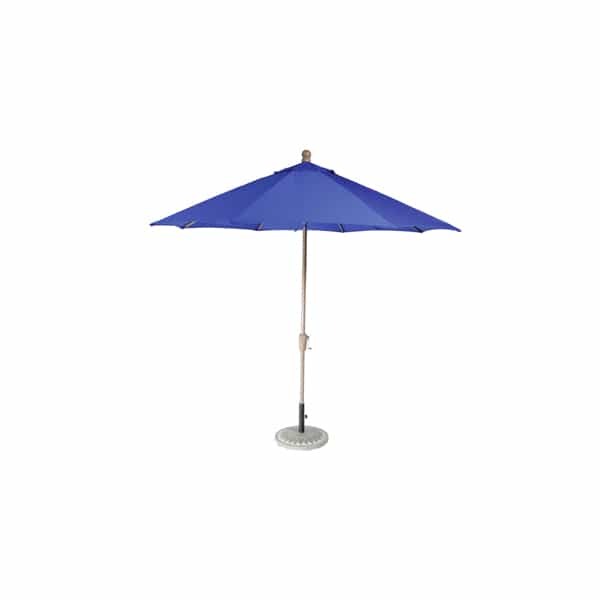 This umbrella is 9’ tall, gives a large shaded area when deployed, and opens and closes with a crank mechanism. The second, and equally important function of an outdoor umbrella, is the look and feel it brings to your outdoor living area. This umbrella is highly customizable. Choose from white, charcoal, bronze or champagne finishes for the pole and ribs. Then, browse the incredibly expansive selection of fabrics that you can choose from. There are stripes, solids, and patterns, all in different materials, including the famous Sunbrella outdoor fabric. Don’t settle for one out of two outdoor umbrella functions. Go for the one-two punch with Casual Cushion Corp.